Ata Bank - Azerbaijan issued the following announcement on July 23. In the ceremony held since 2012, along with representatives of Asia, representatives of the worlds leading financial institutions also participated. The official delegation of AtaBank OJSC, participating in various events for several days, provided detailed information about the specifications, technical details and security of the mobile banking application AtaNet. As a result, among participants from more than 40 countries, among which there were also such large banks and financial institutions as HSBC, Standard Chartered, Bank of China, Citibank and others, AtaNet was chosen as the safest and best mobile banking application and became the winner in the nomination Domestic Technology & Operations Bank of the Year. 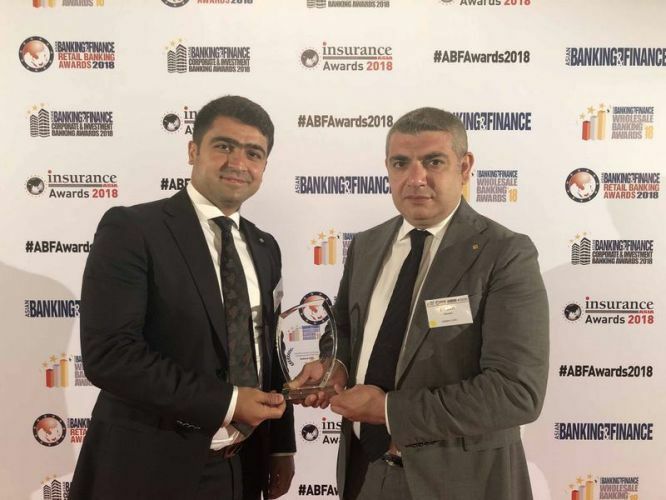 First Deputy Chairman of the Board of the Bank Etibar Babashli said at the award ceremony: "AtaBank always tries to match its slogan and to be "A step ahead", constantly presenting many innovations. Our latest innovation is the mobile banking application "AtaNet", already offered to the clients of the bank. On the way here we were sure that we would become winners because "AtaNet" differs from the competitors in convenience and speed of work irrespective of time and the place, safety and many other advantages according to the best world practice. Our team will continue to work hard for preservation and strengthening of the place of "AtaNet", and many new opportunities for users will be presented in the near future. At the same time during the visit the management of AtaBank OJSC has held a number of business meetings with representatives of a number of the leading Asian banks and has discussed future cooperation. We remind that AtaBank OJSC paying special attention to the Asian financial market and in 2017 has also signed the cooperation agreement with the leading payment service provider of the China Union Pay International. Operating since 1993 AtaBank OJSC is a hi-tech universal Azerbaijani bank with 100 percent domestic capital. The Bank provides a full range of services to corporate and private customers in Baku and regions.